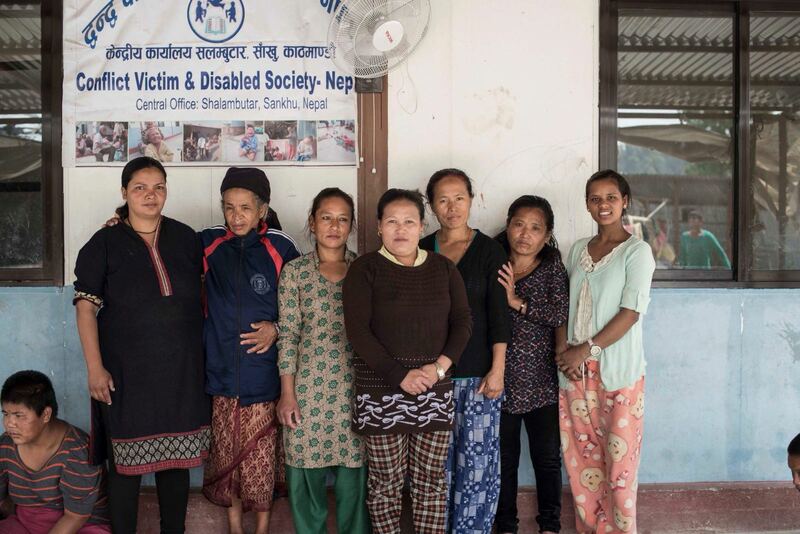 The women who work at CVDS Nepal are real heroines. After suffering different situations of abandonment and abuse, in some cases with children dependent on them , CVDS has become the only alternative life for these women. Day to day life is very difficult for them. Most children have complicated physical and mental conditions and the available resources are minimal. In addition, they do not have any training to deal with this type of conditions, so the work is even more complicated. Nor do they find financial incentive, since they do not even reach the minimum wage stipulated by law. (8,000 rupees, approximately 65 euros). From Fundación Ramana, we want to support the Didis (sisters in Nepalese) of CVDS. Laxmi, Durga, Bipana, Ashmita, Gumati, Sunita and Nirmala deserve a decent life. We want to improve their salary and health conditions and offer training and empowerment courses and workshops. We would also like, once we manage to improve their conditions, to be able to hire more Didis so that the work is shared at the same time that the children can be better served. You can donate the amount you want to support this project. And you can do it the way you want, in a timely manner, or help us to continue the project in the long term. We will inform you of how your donation is used, and we will continue to inform you about the progress and needs of the project on a quarterly basis. In addition, donations have tax relief.